LANSING, Mich. — State Sen. Ken Horn, R-Frankenmuth, continued his “Hometown Tours” series Tuesday with a stop in Linden at the Coney Café on Bridge Street. Horn worked for an afternoon waiting tables, preparing meals and clearing dishes while meeting local residents. Every Tuesday, the Coney Café downtown Linden offers a two-for-one special on Coney dogs, Detroit or Flint style. 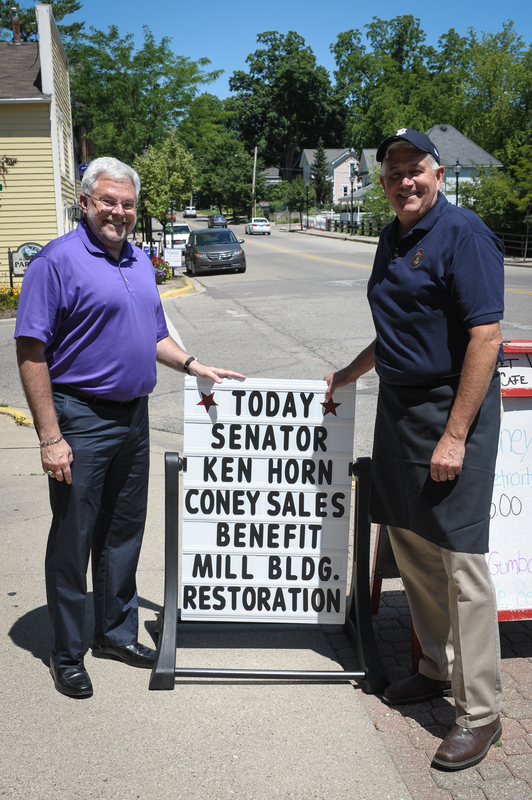 In addition to working and meeting with residents, Horn agreed to donate $1 for each pair of Coneys sold in an effort to raise money to help finance the restoration project of the Linden Mill. “The first segment of my Hometown Tours included a tour of the Linden Mill and Historical Society,” Horn said. “The history surrounding this area is absolutely fascinating and I cannot thank the Kincaid family enough for that experience. I wanted to try and give back in a way that involved the whole community. “I want to give a huge ‘thank you’ to Tom Tessmer for allowing me to spend the day working at his restaurant for such a good cause. I also want to thank members of his staff, Kelly Klocek and Jeremy Smith, for keeping me busy and making sure the orders came out correctly and on time. Without their help, we could not have raised the money we did. Horn’s Hometown Tours will feature various communities in the 32nd District. If you are interested in having Horn visit, please contact his office at (517) 373-1760, toll-free at (855) 347-8032 or by email at SenKHorn@senate.michigan.gov. 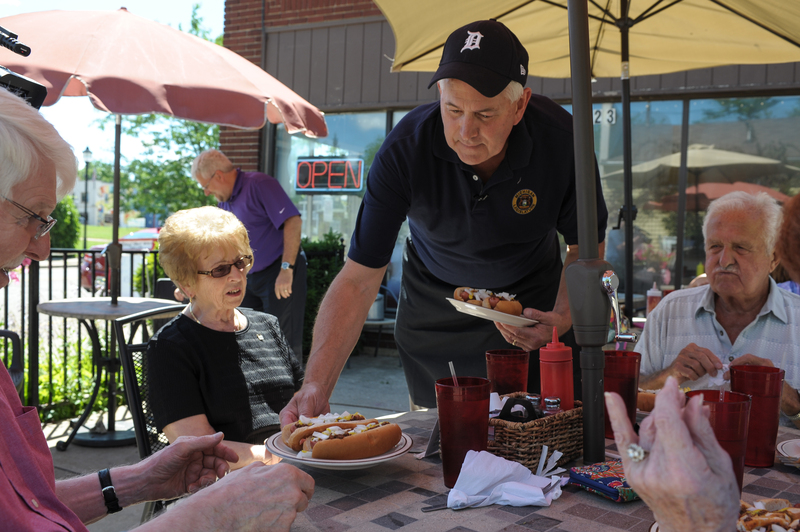 PHOTO 1 CAPTION: State Sen. Ken Horn, R-Frankenmuth, serves Coney dogs to area residents Tuesday in an effort to raise money for improvements to the Linden Mill. PHOTO 2 CAPTION: State Sen. Ken Horn, R-Frankenmuth, stands with Linden Mayor David Lossing next to the display board outside of the Coney Café. 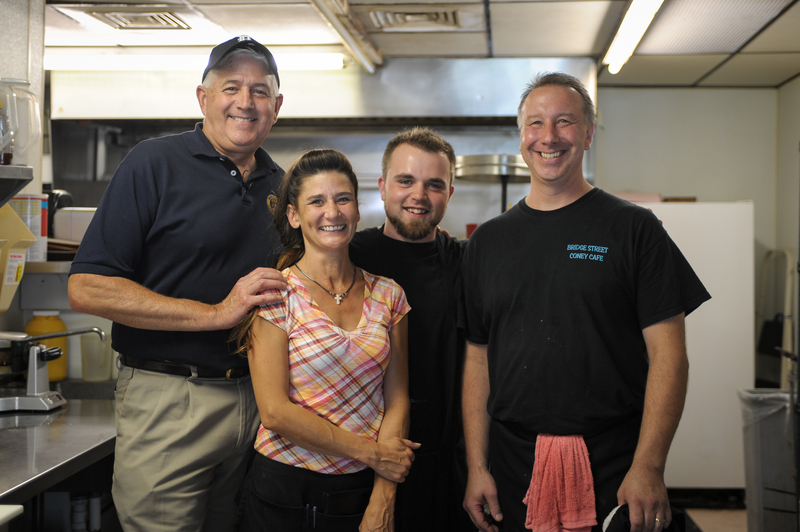 PHOTO 3 CAPTION: State Sen. Ken Horn, R-Frankenmuth, poses for a picture with the Coney Café staff at the end of the busy afternoon. Pictured from left to right are Horn, Kelly Klocek, Jeremy Smith and owner Tom Tessmer. NOTE: See all of Horn’s Hometown Tours here.